I got the idea to write about ski and snowboard lessons as a gift idea for men from some comments on a previous post. Now not everyone is going to appreciate getting or taking a lesson, so you have to have a sense of this when considering this as a gift idea. Skiing and snowboarding is a challenging sport. When you have mastered some techniques it can be a lot of fun. 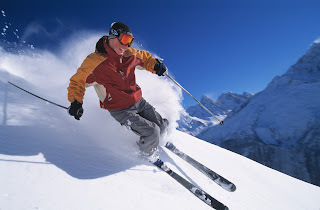 An outing can be frustrating as well if you are falling down more than you are actually skiing or snowboarding. A good lesson can really make a difference. So if you are looking for a unique gift for someone, and you think they would enjoy the instruction, you might consider giving a ski or snowboard lesson.